The secret to any successful business is good customer relations. Maintaining the valuable relationships built during good financial times, shouldn’t be put in jeopardy during poor ones. When collecting a debt, it is important to remember to keep things casual, at least in the beginning phase of debt collection. The key to collecting any debt is to act quickly. Also since limitation period to file any summary suit is 3 years, it is imperative to file a suit within that period and notify your clients accordingly, so that they can also initiate proper actions to defend themselves. In this article we will discuss about how important debt recovery is for corporate bodies and why they should focus on recovering their bad debts. How important debt recovery is for Corporate Bodies? When company goes into loss, it is the realization of bad debts that can revive its status in the market. 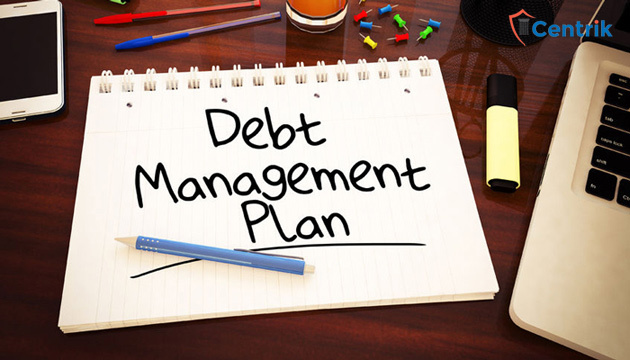 Bad debts reflect on the balance sheet of the company and affects the goodwill, which is very important for the company to maintain. This unrealized money from debtors’ hampers business relations with the customers and jeopardize any future business. If realized this will add value to the capital of the company. So that the company does not have to borrow more money from the banks instead realize its own money from debtors’. How debt recovery will boost Make-in-India? Make in India– It’s an initiative taken by Modi Government to encourage multi-national, as well as national companies to manufacture their products in India. By stating this in the article I have tried to create a relation between the market trend and a debt free economy which will attract more and more investments in Indian markets if we have better policies on debt recovery. If our market is free of bad debtors, it will function in a more healthy and prosperous manner and will also attract more attention of foreign investors. If a business finds it easy to realize its bad debts , it will be motivated to invest more in the market. This will enhance the growth of our economy. For companies, may it be a startup or a Make in India intiative to run smoothly and have better future prospects, realization of bad debt is crucial. Recovery of money is as essential to a business as its relations with its customers. In order to retract that money, harmonious method has to be adopted so that money also flows back and relations also stay in-tact. While the economic status of India is constantly elevating, it is important to free the markets of debts so that a healthy competition prevails and encourages MNCs to rapidly spend in Indian market. If some stringent policies for debt recovery are adopted then Make-in-India will also get a boost, thus aligning India with the developed countries and making it the best market in Asia region. This article clearly shows amount of knowledge that you guy possess. Don’t fool out the people out there get into some real stuff, because debt recovery is something which is nowhere related to make in India process. Leave that just explain what is debt recovery and I’ll consider you guys a master in it. Take it as a healthy criticism and appoint a knowledgeable a person for writing articles as every person can’t write because for writing you need skills, knowledge and expertise. But yes would like to hear back from you on the questions asked above. We would like to enlighten you about Make in India- It’s an initiative taken by Modi Government to encourage multi-national, as well as national companies to manufacture their products in India. By stating this in the article we have tried to create a relation between the market trend and a debt free economy which will attract more and more investments in Indian markets if we have better policies on debt recovery. If our market is free of bad debtors, it will function in a more healthy and prosperous manner and will also attract more attention of foreign investors. If a business finds it easy to realize its bad debts , it will be motivated to invest more in the market. This will enhance the growth of our economy. We hope we have cleared your doubts. Please feel free to enlighten us further, we will be glad to make changes accordingly.